Spray insulation is used to restore the structural stability and reduce the thermal transmittance of existing cavity walls in which the conventional wall ties have corroded. It is also used in new construction where the better thermal performance helps meet the requirements for the code. Previously we have introduced the advantages of our BBA certified polyurethane systems for roofs and floors. There are also many benefits of this insulation for walls. Bonds the inner and outer walls together (where wall ties are failing). PU foam is a satisfactory replacement for normal metal wall ties. Flood resistance, so may be the material of choice in areas prone to flooding. Bring the walls up to current Building Regulations. The insulant acts as a barrier to heat loss, prevents draughts. Closed cell polyurethane foam provides an extra layer of resilience against the ingress of flood water through the cavity. 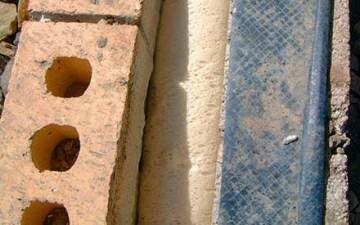 In the last years, polyurethane systems have been used to stabilise walls suffering from tie failure. Studies made over the last decade, in conjunction with the Building Research Establishment, have highlighted the problem and have confirmed there are milliards of buildings at risk. A suitable polyurethane foam system may be injected into a masonry cavity wall by injecting liquid polyurethane through properly spaced holes in the outer leaf. 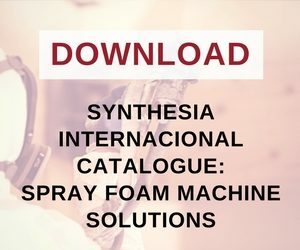 The foam expands in the cavity and sets to become a substantially closed-celled, cross-linked, rigid polyurethane foam which strongly adheres to the inner and outer leaves, so that they become bonded together. The foam is a satisfactory replacement for normal metal wall ties. You can upgrade the thermal performance of a property to use polyurethane systems. This gives energy savings and reduced CO2 emissions. And because polyurethane expanding foams mould themselves into the fabric of a building, they seal out draughts and increase airtightness. Closed cell foams are resistant to driving rain so the foam stays dry with no loss of thermal properties. Our product is a cost effective solution for many different properties across the United Kingdom. It can help many homeowners, private landlords, housing associations, councils and businesses to achieve their aims whether that be lower fuel bills, structural stability, reduce carbon emissions or the need to provide insulation in areas subject to wind driven rain or prone to flooding.